Founded in the year 2014, Pristine Mosaics is an emerging manufacturer firm that has been delivering quality in its offered Wall Tiles. By using all available knowledge, we are managing a broad product portfolio of quality products, including Glass Mosaic Tiles, Swimming pool Glass Mosaic Tiles and Bathroom Glass Mosaic Tiles. Our business process is strategically based on our aim to develop a flawless range of products featuring benefits of quality construction, aesthetic designs, rust resistant finish, and optimum strength. Further, we utilize the talent and dedicated approach of our professionals to render cost efficient services for contemporary fabrication works. We strive to anticipate the people’s mindset, by putting strenuous efforts in market analysis. When our diligent team members are prepared with anticipating the challenging clients, we determine what steps should be taken to add value to our product designs. It includes improved product design, and a substantial amount of investment in prevailing technology. Further, we leverage current technology to research and design the fundamental structural element of wall tiles. Moreover, owing to our firm repute in the industry we have become, authorized partner of distinguished brands. Our leader and mentor Mr. Nikunj Parikh are backed with rich industrial expertise, and a vivid corporate persona, which guides us optimize our prospective in trans formative brand presence. Our team members are committed towards their own innovation to render a matchless range of products. Their talent and know how equips us to become a trusted entity contributing to the success of its prestigious clients. Our team comprises of highly experienced and dynamic professionals, including talented product designers, manufacturing experts, quality associates, trained engineers and distributing personnel. We are the member of BNI helenus chapter Ahmedabad Gujarat. We are providing refferals for business related to Glass Mosaic tiles, Stone wall cledding, Swimming pool glass mosaic. Interior decoration of Bathroom glass mosaic, Kitchen interior design with glass mosaic. To make sure that our day to day operations are compliant to the highest standards, we have developed a rigid set of rules defining our quality policy. During the product development phase, our team members face a large number of reviews, inspections and audits, which are an inevitable part of our quality policy. Further, we make sure to verify every product on the basis of its quality parameters and use tamper proof packaging to dispatch a defect free line of products. Technological advancements play a fundamental role in carrying our business activities, which is why we have modernized our work set up in line with the prevailing manufacturing techniques. Our infrastructure is parted into highly functional units for product manufacturing, testing, packaging and stocking divisions at our factory base. Further, our corporate offices are fully equipped with hyper-connectivity devices to streamline our wide distribution network across the country. We believe the execution of a client-centric business strategy is essential to our steady growth. For that reason, we use methods to achieve operational excellence and groundbreaking success for our company. Further, we have partnered with accredited vendor base and logistics companies, which help us to be positioned as the most reputed business entity delivering innovative and best quality products within the agreed time frame. The rate given in our catalogue, website, and India Mart Quotes, are indicaitive prices, exclusive of any taxes (GST 18% Extra), Transporation, unloading at site. Payment Term: 100% advance along with your purchase order, The India mart payment option can be chosen by client, but only applicable when the payment received in our bank account, the payment commission service charges also paid by customer. Delivery period 10 to 20 days in India and for export it is on destination and shipper conditions. Once the order is placed, cancellation and changes will not be accepted. The rate given in our catalogue, website, and India Mart Quotes, are material cost only. Fixing / installation charges will be extra as applicable. Warranty: 2 years if material laid with our Polymer base Grout. 5 years, if material laid with our Epoxy Grout. The color and material quality may differ from as shown in pictures, images, description at the time of availability. 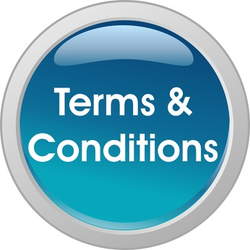 All other T&C General trade conditions are as per either given in our website, company policy document, in the invoice are applicable. Company reserve the right to modify T&C without any prior information to customers, clients, Dealers or any other person. Subjected to Ahmedabad, Gujarat, India Jurisdiction.